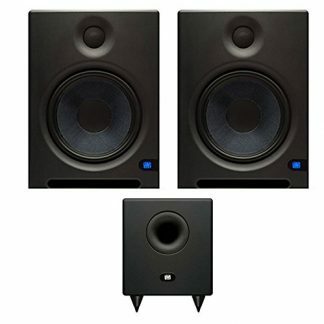 The Yamaha HS8 active studio monitor will help you make better-sounding recordings. Yamaha’s nearfield monitors with those iconic white-coned woofers have been ubiquitous in top studios worldwide ever since the original NS-10s hit the scene in the late ’70s. Yamaha (never content to rest on its laurels) has continued to develop and pursue perfection, resulting in HS series monitors with newly designed bi-amplified drivers and scientifically ported enclosures that deliver amazing accuracy and vanishingly low coloration. Sweetwater’s advice: Don’t mix in the dark. Nail what you’re after — without the guesswork — with Yamaha’s HS8. The drivers used in the HS series monitors deliver superb audio performance that is considerably enhanced by a sophisticated mounting system. 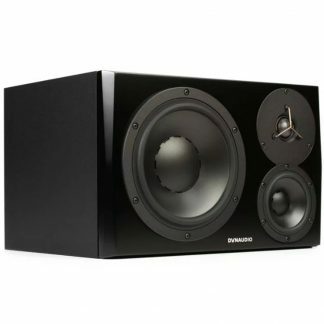 A scientific arrangement of screws and a specially designed mounting ring eliminate unwanted vibration and resonance, letting the speaker realize its full sonic potential without distortion or coloration. Yamaha selects their magnets to optimize solid low-end response. Tweeter frames use an advanced smooth-contour design that minimizes losses, letting you hear high-frequency details with stunning accuracy. 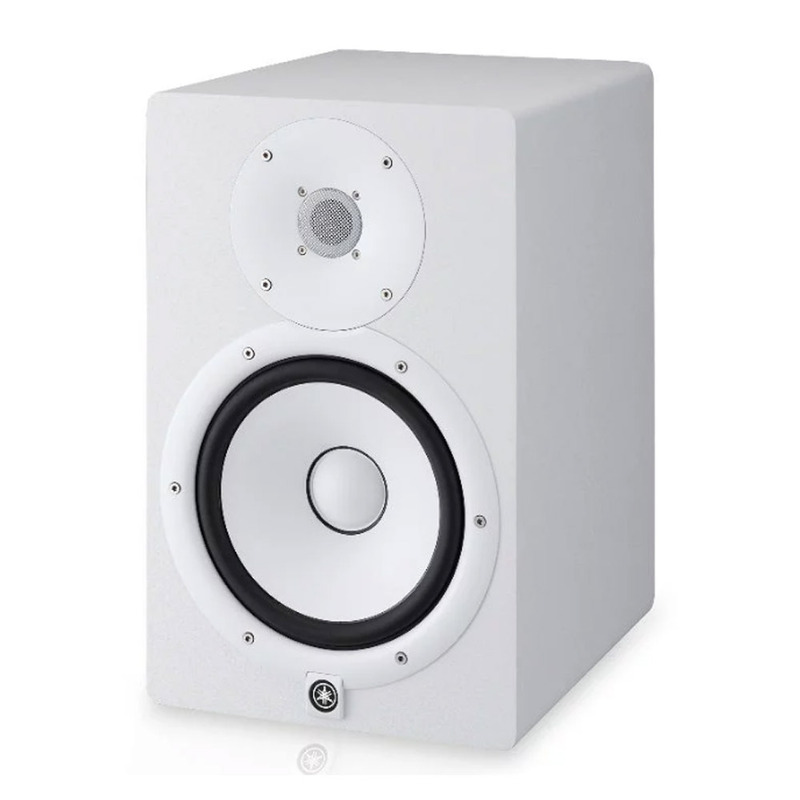 The extra-thick tweeter frame also diminishes resonance that can interfere with treble clarity. The bottom line? Smooth, accurate response throughout the audio spectrum that translates to better-sounding recordings for you. 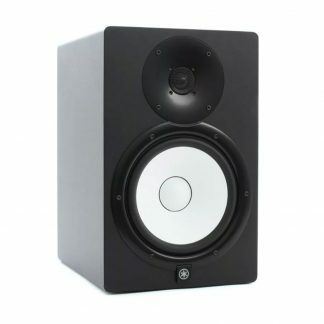 HS series monitors utilize extra-large magnets. Why is this important? Glad you asked! In concert with the HS8’s advanced magnetic circuit design, these beefy magnets deliver a robust, uniform, and tightly controlled flux field that yields exceedingly smooth response and dynamic efficiency over a wider frequency range. HS series monitors deliver outstanding monitoring performance, enabling you to get your mixes just right. Even better, you can take your accurate monitoring on the road. The HS8 boasts room control and high-trim response controls that let you tailor your monitors to your room for optimal response. So whether you’re in a control room or in a cramped remote truck, you’ll always be able to trust your monitoring.